In this review we explain why you should stay away from the broker MYfintec. MYfintec is a typical CFD broker that will allow you to trade Forex, commodities, stocks, indices and cryptocurrencies. There are several account types, meanwhile the minimum deposit is 500 euros. MYfintec is run by KIN Ltd. that is located in the Marshall Islands. Most countries in this world regulate trading, therefore brokers have to have a licence valid in every country they target. 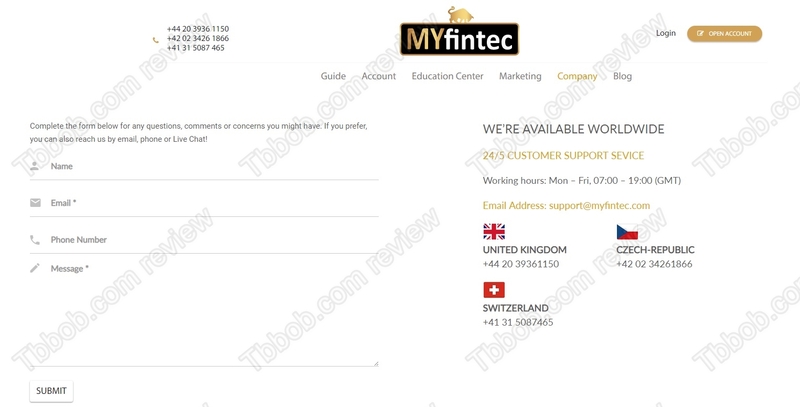 Since MYfintec provides phone support in the UK, Switzerland and Czech Republic, it is clear that it is targeting at least these three countries. All these countries regulate financial trading heavily, so you need a licence valid in the EU for the UK and the Czech Republic, meanwhile for Switzerland you need a licence from their regulator Finma. The problem is that MYfintec is not regulated at all. So, by targeting these three countries it is acting illegally and breaking the laws of these countries. 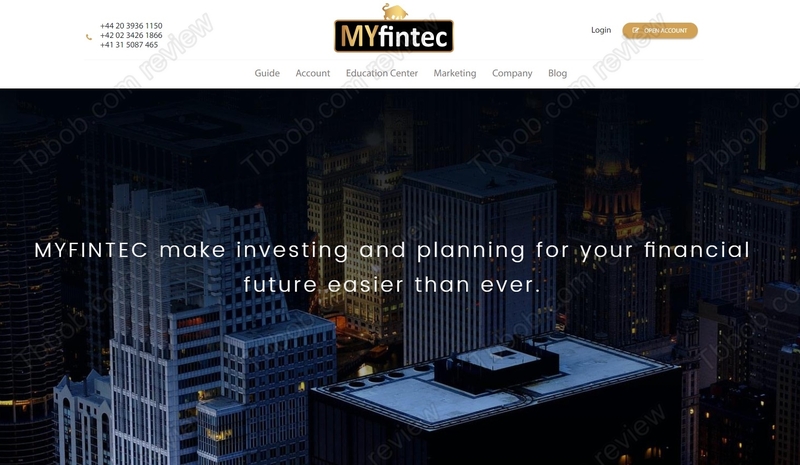 While exposing investment scams we have seen many of them cooperating with MYfintec. It is always a bad sign when a broker accepts customers referred by scammers. This also results in people feeling scammed by the broker, because they start trading through some scam robot with MYfintec and lose their money. Scams that are cooperating with MYfintec are for example Bitcoin University, TopAlgoTrade and Algo Signals. MYfintec is an illegal broker and we see it cooperating with scams. Therefore, we recommend staying away from it! For trading you should use regulated brokers only.